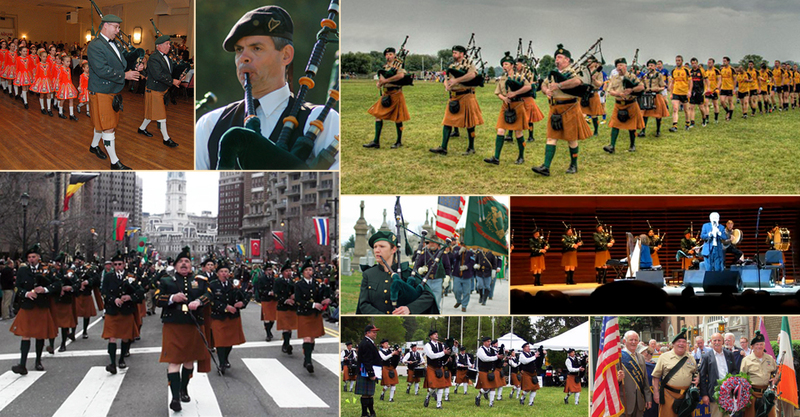 The Philadelphia Emerald Society Pipe Band was started in 1973 and is the premier Irish pipe and drum band in the Delaware Valley. The band has performed in this area, as well as surrounding states, and on several occasions in the Republic of Ireland and Northern Ireland. Emerald has marched in the Philadelphia St. Patrick's Day Parade every year since its founding. The band is also a Grade 5 competition unit, and participates in highland games and Irish feiseanna throughout the mid-Atlantic states in the spring, summer and fall. Emerald is a longtime member of the Eastern United States Pipe Band Association. © 2013 PESPB - All Rights Reserved.